Fashion Over Reason: ¡Hola México! I haven't done one of these selfie posts in quite a while, but I didn't get the chance to ask a second party to capture this outfit, yet I still thought it was worthy of showing you guys for the mere fact that it demonstrates how to be versatile with your clothes. 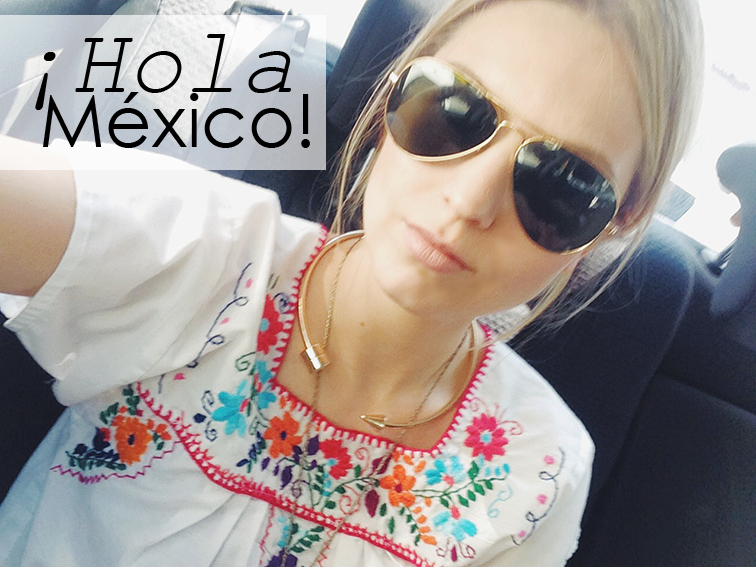 Allow me to elaborate: this Mexican embroidered tunic is actually a dress(!). It's a great summer number and, while worn on its own, it can have an overwhelming (and a tad see-through) beachy vibe, it also doubles as top, in which case elevates it on the chic scale. Oh love this top! I so want to get one of these just have not found one I like yet. Oh the sky highs...nice. Great pictures! I love the beautiful colors in your top! Kisses and have an adorable day. wow, love your top! really beautiful! Love the tunic styled this way, so so cool! those embroidery details are so adorable! That Mexican tunic is so cute! I want one!!! HaHaHa Looks great on you and you captured it well.